Rootsweb Board for Victoria Co.
Bexley Twp. in historical VICTORIA Co.
** This is an 1877-published map. 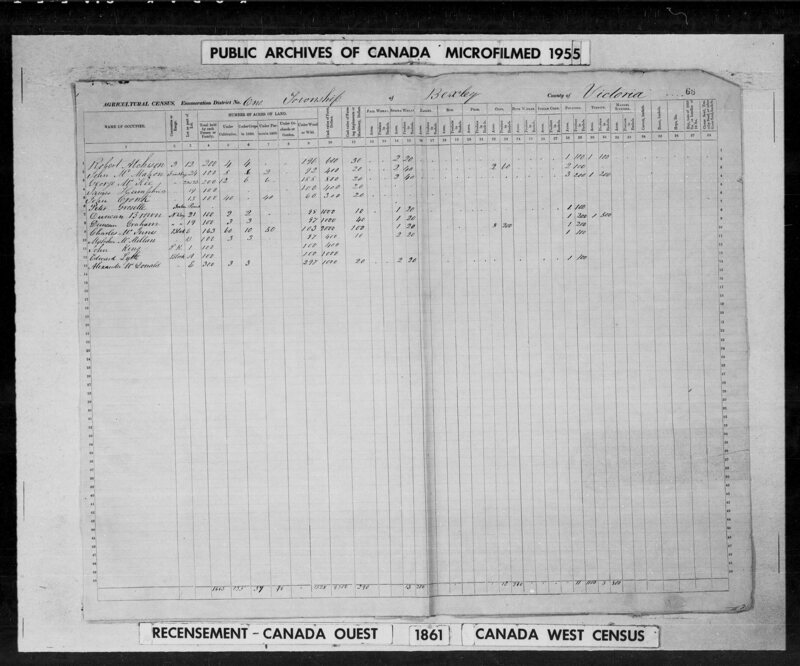 Although the scope of this project is for the Pre-Confederation period (before 1870), we have transcribed names from this 1877 map, as the Victoria Co. directories are limited and do not specify lot locations. No pre-Confederation era maps have been found, or are known to have been published. See the Patent Maps.